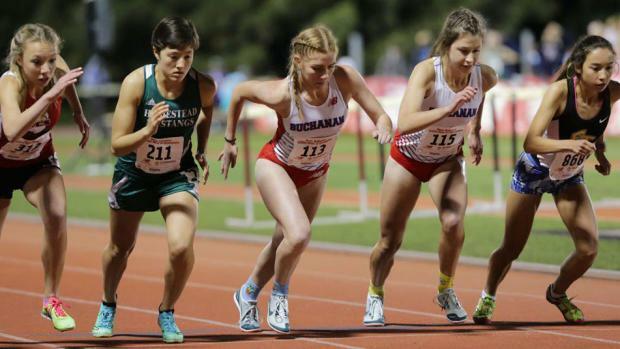 AZUSA -- In what has become the premier distance prep invitational on the West Coast, the Distance Meet of Champions will once again rewrite the 2019 national rankings list this upcoming weekend. For our aficionados of distance running, this meet is for you! Highlighting the festivities at Azusa Pacific University (about 30 miles from downtown Los Angeles) will be some of the greatest distance talent assembled in the nation. One of the distinctions of this meet is that it holds the world record of 405 boys eclipsing the 5-minute barrier in one invite! It also holds the record for 268 girls running under 6 minutes for the 1600 meters in one meet. In the past decade, it has become THE early season stage by which the best in California come together to challenge one another in an electric atmosphere rarely duplicated elsewhere. 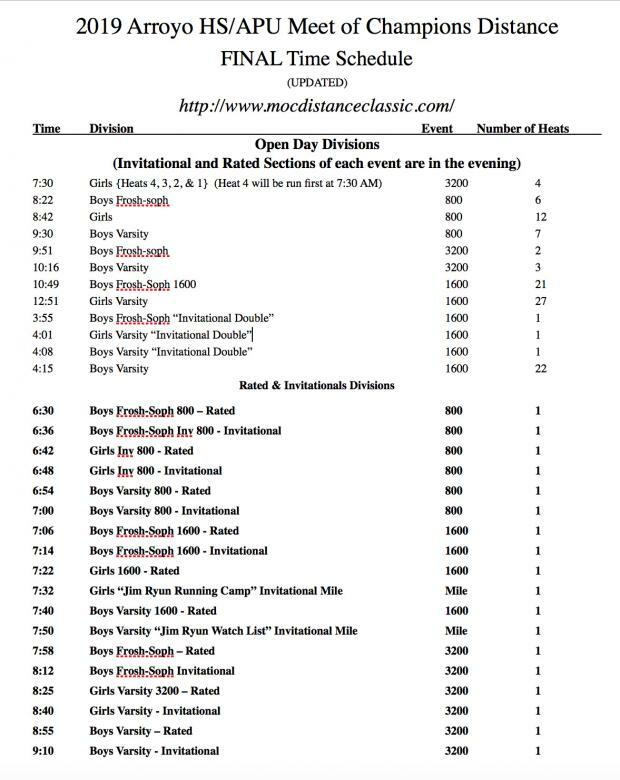 Last year, meet director Tim O'Rourke introduced the 'Invitational double' so that more athletes can take the opportunity of running a great 1600 and with ample rest, they can come back to roll in those 800's and 3200's. With this, we saw more girls breaking 5:10 and boys dipping under 4:20! This invite is unmatched in depth as breaking into the Top 50 per event is a true challenge. All photos by Frank Bellino. Jeffrey Parenti contributed to this preview.